I love thes beautiful birds! 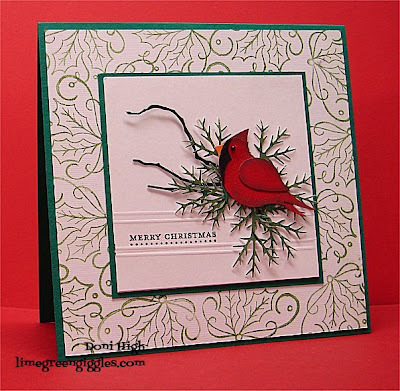 I made this Cardinal from the Stampin UP bird punch. Punch the bird & wing out of red, chalk around the edges with black. 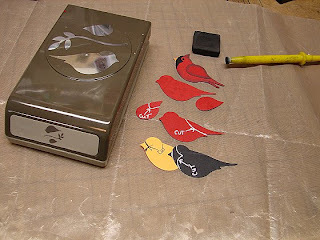 cut out a tail point , shade with chalk, glue onto original bird. from the wing cut out the point and shade with chalk and add to head. and glue onto the original bird....don't forget to cut off the beak part first.